At Mr. Pavement, we cater to a wide variety of customers. We know that sporting areas are popular in parks, apartment complexes, resorts, and more, and if you’re in need of paving services, we can help. 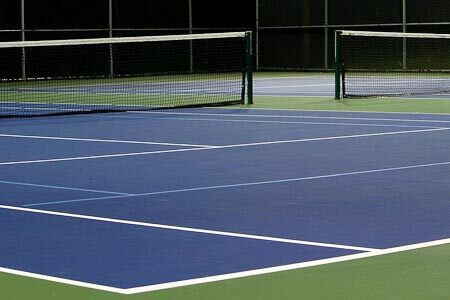 Whether it’s a tennis court, basketball court, running track, cycling track, or another sporting area, our experts can get the job done fast. To get started, fill out our free estimate form today. When it comes to sports, the ground you play them on is an important part of the game. If your sporting area is cracked, uneven, or has divots or potholes, it can cause problems. Defective pavement can not only hinder your sporting abilities, it can lead to serious injuries like falls, twisted ankles, hyper-extended joints, and more. At Mr. Pavement, we can make sure your pavement is strong, smooth, and in good condition. 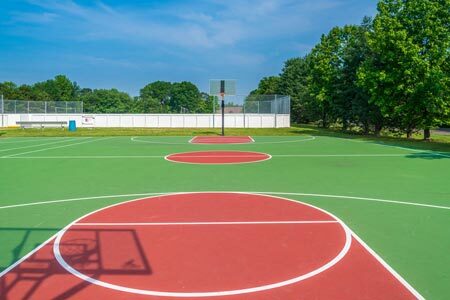 If you’re in need of a new sporting area, our asphalt paving experts will install your pavement so that it’s even and ready for play. And if your current sporting area requires a repair, we offer patching and resurfacing that can smooth it out and make it as good as new. For more than 10 years, Mr. Pavement has been the leading asphalt paving company in the area. Our professionals are skilled, trained, and always ready to satisfy your paving needs. Whether it’s a new installation, a necessary repair, or regular maintenance, we’re here for you. We’ll assess your situation and create a plan that leads to a beautiful, durable sporting area.